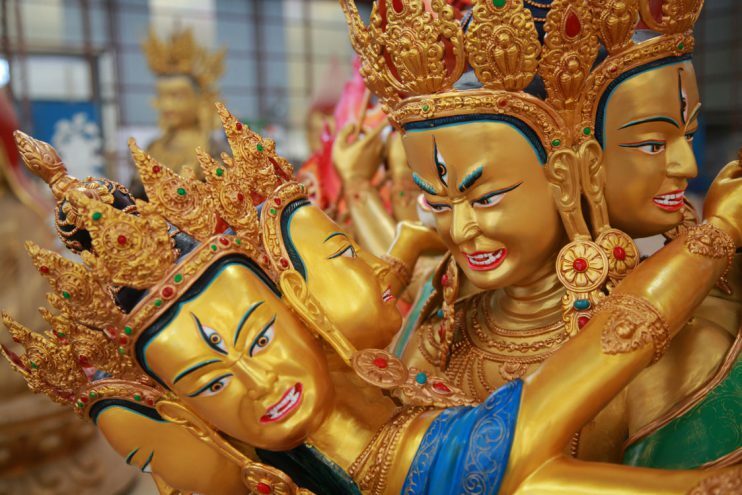 The Tibetan Buddhist Rimé Institute is pleased to announce the arrival in Melbourne of a very unique tantric statue of the Kalachakra deity in union with consort. For the first time ever, the general public will have a rare opportunity to learn about the unique symbolism and purpose behind this controversial form that is traditionally known only to advanced adepts of Buddhist Tantra. The statue will be on display in North Fitzroy for three days from the 19th to the 21st of May. 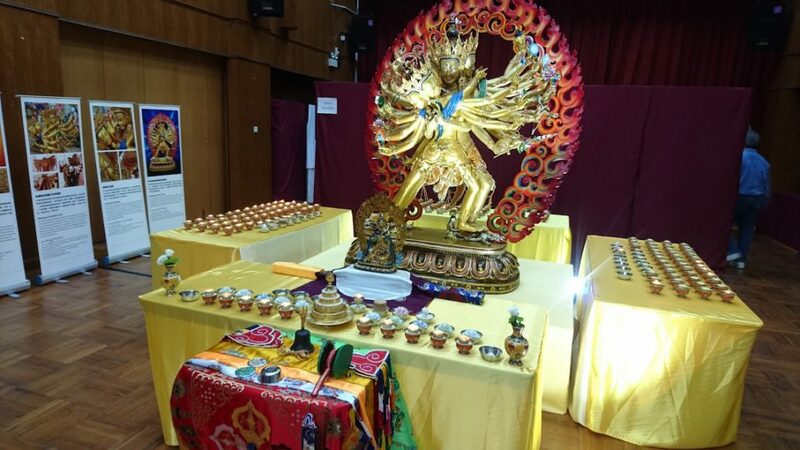 The exhibition is part of a much greater effort by the Rimé Kalachakra Master Khentrul Rinpoché Jamphel Lodrö to raise awareness of the unique benefits and methods presented in the ancient tradition of Kalachakra Tantra. This extraordinary system of practice is specifically designed to help people connect on a very profound level to their ultimate nature as a way to cultivate greater peace and harmony in their lives. As such, the Kalachakra Tantra is closely linked to the concept of world peace and the removal of conflict. It is this connection which makes Kalachakra extremely relevant in times of global turmoil such as those that we are living in now. 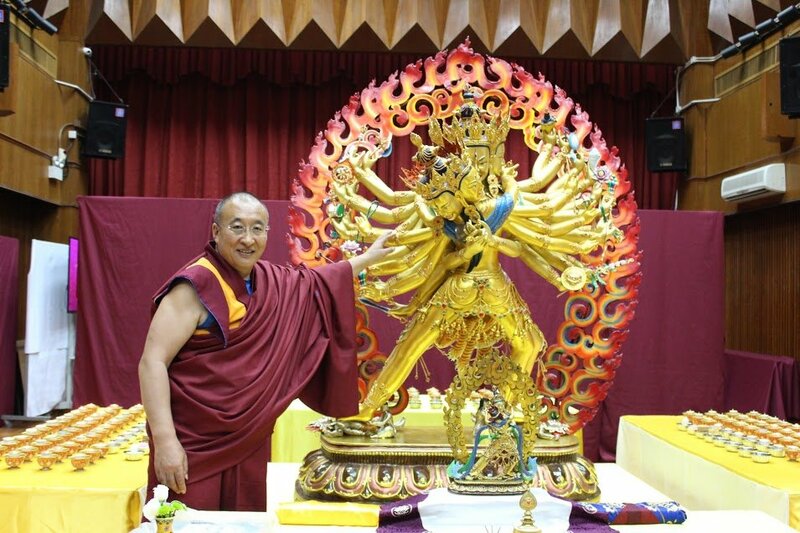 The completed Kalachakra Statue on display in Hong Kong, just before coming to Melbourne. Rinpoché demonstrating the unique features of the statue. Connect with the very essence of perfect love and compassion in union. A very unique practice especially connected to Rigzin Chenpo that is designed to clear away obstacles and increase merits. Create the causes for wealth and prosperity so that you can achieve what you set out to do and bring benefit to others. This empowerment will lead you to a deeper level of your own sacred truth by introducing you to a complete path to enlightenment.